Park shrimps, salmon fly supreme. Shrimp tailed Franc 'N' Snaelda variant, (two Black dyed G.P. Red Breast feathers wound for the tail). It is a great privilege to be a friend of Davie McPhail. One of the most friendly and helpful people I have ever met. All salmon flies are hand tied, there are no machines for tying flies - at least so far as I am aware. Hence the phrases 'hand tied' or 'hand crafted by craftsmen" is a fairly redundant and meaningless phrase. Fortunately I learned my salmon angling, salmon fly-tying and material dying in really serious custom fly-tying country and Irish shrimp fly country, the Foyle system in Northern Ireland. In Northern Ireland salmon flies mattered and mattered greatly. Tying both trout and salmon flies was, and still is, a local and highly regarded tradition in Ireland. One had to effectively serve a long apprenticeship learning the necessary skills before one would be considered as a serious salmon fly tyer of fishing flies in the North. I am not talking of anything but fishing flies. 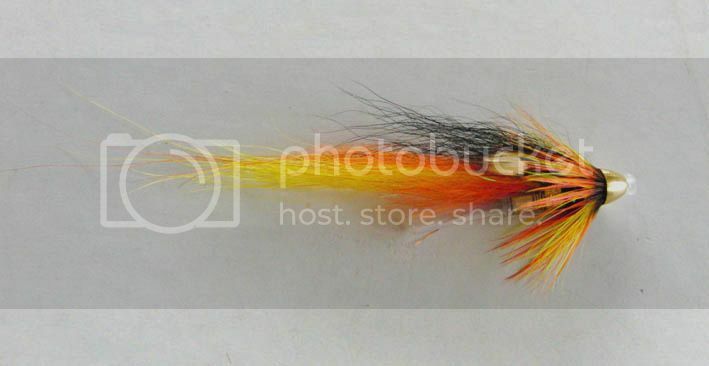 Anglers, material dyers and tyers on rivers like the Faughan produced some of the mainstay traditional Irish Shrimp patterns, many of which are used to this day and many of which also spawned a whole host of successful variants. All the tying was for wild fish fishing, river and Lough wild brown trout, sea trout and Atlantic salmon and grilse. The colours used, durability, proportions, mobility, material and hook choice were of importance. The importance placed on these things by locals would often not seem to have the same relevance to others or the perceived wisdom from some sources where we would hear strange reports like - colour doesn't matter. We had arrived at other conclusions. Of course the apprenticeship would be good fun and you would have to take a little bit of stick from time to time as people would pull your leg mercilessly, perhaps telling you that the head on your fly reminded them of their young labrador pup. The idea among Irish custom salmon fly tyers is that if it mattered then you had it covered, on the days when some of these things were not so important as they could be, having them covered may not have mattered on that day, however your fly was certainly no worse for the care involved in its making and the attention to colour, proportion and material choice. Then on the days when it did matter you were already well prepared for that. 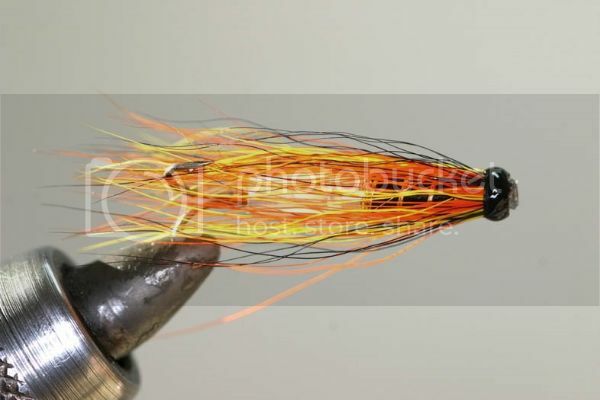 The only enemy those custom tied flies have is poor casting and placing them in bushes or the bottom of the river, other than that they will be used and catch fish for a very long time. That is what represents real value, durability. Sometimes people would find out that some things can matter greatly. When salmon keenly take the ruby claret dyed feathers used in Northern Shrimp flies while at the same time ignoring the normal matt and dark claret - the lifeless claret equivalent of Navy Blue. That dark matt type of claret colour is not used in the Foyle system. The grilse in low water taking in preference the soft tailed small shrimp flies tied from selected feathers while largely ignoring small shrimp flies tied with stiff tail feathers. There is then the aspect of durability in that when you find a good taking fly and have caught a couple of fish on it and have confidence in it, you can then keep catching on the fly as it stays intact, perhaps sometimes taking up to twenty fish or more on the one fly. 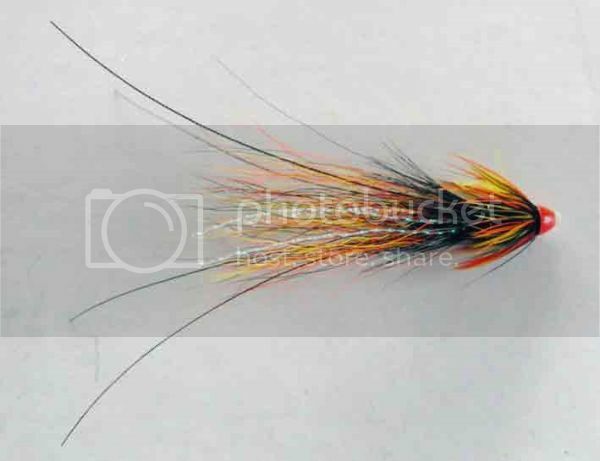 There was no such thing as taking a couple of fish on a fly to then find it coming apart, every fly was custom tied by local tyers and as far as I was aware nobody at that time used anything else. I have occasionally seen some very experienced older anglers look at the fly in the water at the side of the river before deciding whether or not to fish with it, on more than one occasion then take it off due to the fact that they considered that it wasn't a good fly because it wasn't sitting or swimming right. It wasn't right due to proportions or density of dressing. Modern Fox Wing Flies, Yokanga Gold (top), Litza Golden Dream (bottom left) and Blacksmith (bottom Right). 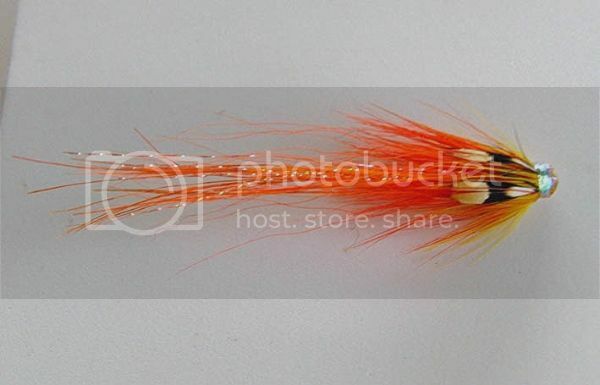 The Magic Bullet Salmon Fly? There aren't really any salmon flies that are going to catch a lot of fish for the angler while other aspects of salmon angling are not under their control. However, when one can function well enough to fly fish reasonably effectively, there most definitely are some common sense rules that should apply to salmon fly choice. We can make choices that will enhance rather than hinder chances for success with Atlantic salmon and grilse. Some salmon flies are better than others in general, and some especially so in certain circumstances. Importantly, due to their specific profile, some are better suited to certain water speeds than others. In the anglers control are depth, angle and speed of fly, and of course the actual fly choice in its type, pattern, size and weight. Pattern covering general colouration. The oft used acronym K.I.S.S. means 'keep it simple stupid.' Its a good one to remember in order to stop salmon fly choice becoming unnecessarily convoluted. My advice in a nutshell from long experience is - largely keep to using the mainstream well proven successful patterns, and then use only a relatively small selection of those patterns. I am talking of well known and universally successful patterns such as the Cascade, the Park and Calvin shrimps, Scottish hair wing and tubes such as the Stoat's tail, Silver Stoat, Munro Killer, Willie Gunn, Gold Bodied Willie Gunn, Pot Belly Pigs. Irish shrimps such as the Bann Special and Foxford Shrimps. Scandinavian fox wing hair wing and tube flies such as the three hair wings pictured above also Phatagorva variants, Ponoi Gold.. A sunray shadow or two. Little else is usually needed, one may also use Frances and Franc N Snaelda patterns. A Salmon Fly Angler may actually become plagued with doubt on the riverbank about the fly he is using, and most especially if he is not long experienced. As salmon angling is partly psychological as far as confidence is concerned, this is a state one does not wish to encounter. I have always considered the best option for the novice is to stick to mainstream, well proven patterns. Some fly tyers always are trying to invent new patterns or are making variants. Of course if this did not happen then some successful new patterns would not appear. However sorting the wheat from the chaff is necessary. I use the new stuff when it is proven and not before. For fishing I stick to the already well proven flies. I personally consider that there is really no need for salmon fly choice to become overly complicated, or for doubt to become an issue in an anglers mind. One must have confidence in what one is using. Its extremely important for contributing towards success and for sustained effort when fishing. The fact is that the most popular salmon flies and their particular construction designs come to the fore (in terms of popularity and success), and remain there for years with continued widespread use precisely because they are found to be consistently successful in catching salmon. Not therefore because of fancy names or due to articles promoting them, or for any other reason in fact but their consistent widespread success. That's why I exclusively use just the mainstream well known patterns. Adapting of course the sizes, colours, weight and profile to the water and weather conditions. The widespread success of certain mainstream patterns means they obviously do create the right overall impression to the fish due to their general design, be it profile for the water speed, or colouration, or mobility or proportions. The flies I am talking of are patterns like the Cascade, The Park Shrimp (the original dressing with arctic runner tail), Willie Gunn and Gold Willie Gunn tubes, Stoats Tails / Thunder Stoats, the Hairy Mary, the Garry Dog, Bann Special Shrimps, Curry's Red Shrimps, Wye Bugs e.t.c. I always consider a Reg Rhygini statement to be spot on in understanding what matters for salmon fly angling, he said that its not what a fish actually sees, but what it thinks it sees that matters. Although he said this in relation to a spoon and spinning, I consider exactly the same principle applies to salmon flies. Thats why a fly that is tied as an exact imitation of a shrimp for instance is not as anywhere near as successful as other much more vague general representations called shrimp patterns. Patterns that are not close representation to our eye but have movement and in the water are giving a general impression of life or something alive. Some colour schemes or blends work better, or better suit peat stained water and some colours will work best in clear water, please note carefully that does not mean that they will not work in all situations. I am talking about what, from long observation and experience seems to do better in a given set of circumstances. Its not what will catch a fish, but what will be likely to create more interest and more takes in a given set of circumstances. Some flies will be universally successful working in a wide variety of conditions and places. There are places where the rivers are Lough or spring fed with very clean clear water predominant, others with peat stain as normal, others with a lot of suspended colour from arable land during floods. Durability is an important factor in salmon flies, as is the quality of the hook that the fly is tied on. Real value for money in salmon flies only actually lies in purchasing custom tied flies with durability or build quality as standard. 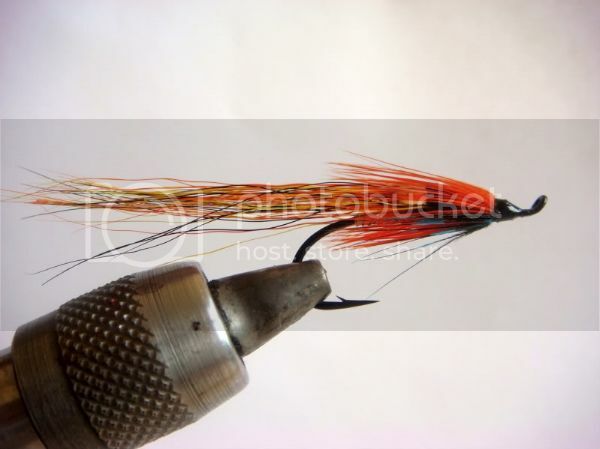 Custom tied flies are correct in design and proportion and they are tied to last. It is very easy for instance to tie a fly with a tiny head, it looks good but you are then relying only on the hackle stalk to hold and eventually it breaks, the hackle unwinds and the fly is useless, same on a body hackle if it is not contra wound with the ribbing. When the hackle stalks are under turns of thread forming a normal head they are protected from damage and the fly is secure and durable. Hair wings pull out on many flies as the cut ends are not super glued. The supposed bargain quickly becomes nothing other than a waste of money, to say nothing of hooks they are tied on. There is little as intriguing to a salmon angler as salmon fishing flies. I personally have a great appreciation and love of actual fishing flies for Atlantic Salmon. As beautiful and intricate as the Classic full dressed patterns are, I do prefer the everyday practical fishing flies. I like Atlantic Salmon flies more than any other type of artificial fly, most especially shrimp patterns and modern fox wing patterns. In music there are a lot of variations, renditions or arrangements possible of a song or tune, infinite possibilities in fact. Even without musical training you automatically know the good arrangements or performances when you hear them, as you do also the exceptional ones. In Ireland where music is part of the culture there is a saying about the better performances or arrangements / variations in music, someone will say that you can't beat the 'well crafted tune' or that it was a 'well crafted performance.' When I see a good salmon fishing fly I can think of it in the same way. What an absorbing subject good salmon fishing flies are. How does one define building fishing experience into the tying of an Atlantic Salmon fly, or to be more specific creating an effective but durable salmon fishing fly? From my experience of Ghillying for many years on a prolific Irish river system, and fishing successfully in Scotland and the North of England, I know that some importance should be placed on salmon fly choice. How they are tied matters. "There is an indescribable something about a fly dressed by an expert amateur who is a practical salmon fisherman which the fly dressed by a non-angling professional frequently lacks." - T.E. Pryce-Tannatt. Salmon and Grilse take a wide variety of offerings at times. Mainly due to the fact that anything resisting a flow or crossing a flow, or indeed moving downstream faster than the flow, or moving across as it drops back with the current is going to give some impression of life to the fish, otherwise it would not be able to resist the current or move across a current or ahead of a current. Its not just as simple as what some fish will take at times however. What matters is what more fish will be attracted by and take, or what is more likely to create a positive response in a given set of circumstances and conditions. What is known and well proven from experience to be more consistently successful in certain circumstances. As a Ghillie I often had the opportunity to observe what happens when the Guest was fishing the fly. In particular the many fish that come for a look, and a close look but turn away unknown to the angler. Resistance to the current is but one factor and there is often much more to it than that. A fly can look unnatural resisting a current if it is the wrong size or profile for the flow. How the fly actually appears in profile for the speed of the current is an important factor, (or indeed for the fly's own water speed that it is fished at which is a different thing). The current influences the ideal proportions and profile of the fly as it has influence on the water speed it will be used at. 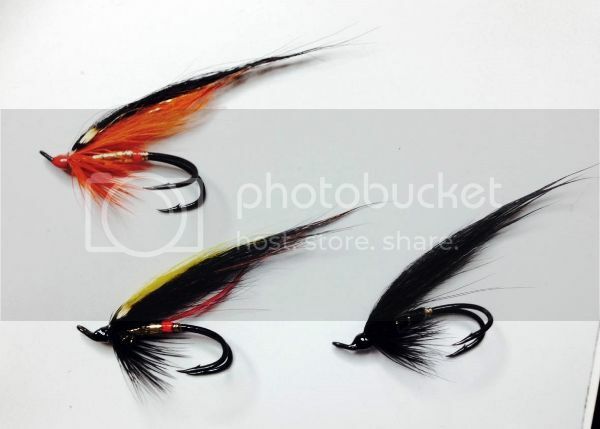 The suitability of the materials used in the tying for the type of fly and proportions in relation to the hook will dictate how well the fly sits or swims in the water and its mobility. Proportions must also be used for consistent fly size change, and recognition by the angler then of the right sizes for the water heights and conditions or time of the season. 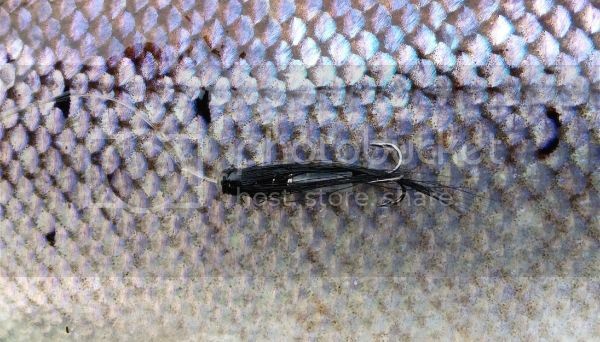 I offer a range of mainstay proven salmon and grilse patterns on reliable hooks and on tubes. Single and Double hooks only. Bottle Tubes, Plastic and brass tubes, Cone head tubes.